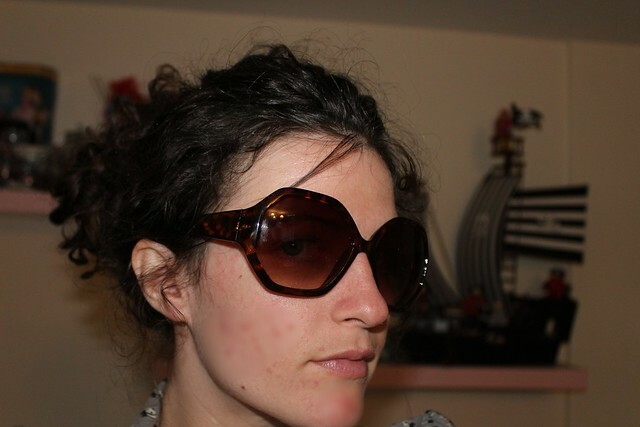 t*rexes and tiaras: Tortoise Shell Shades.. I recently asked for some style advice from F+F's expert Angela Buttolph as part of the #SummerSOS campaign they were running. This is what we came up with, as a solution to my sunny day workwear crisis. As I often have to go straight from work to whatever event is on in the evening, I like my outfits to be transitional, from office to restaurant, bar, etc. 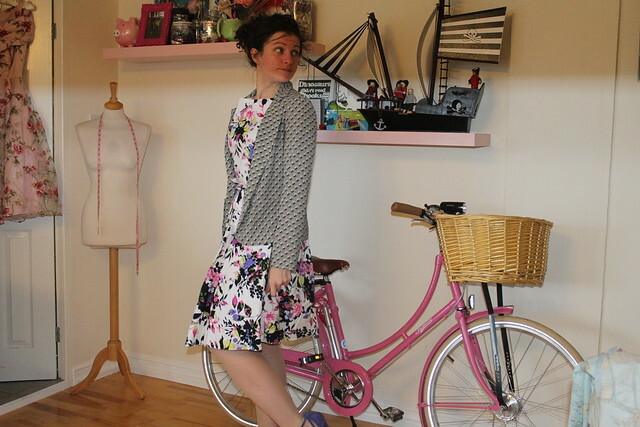 This dress is from the Julia range on F+F. I've had a dress or two from this range before and really like the added details like the extra layers of lining and tulle to give the skirt some shape. It's got a waist tie, which I love to see on a dress. 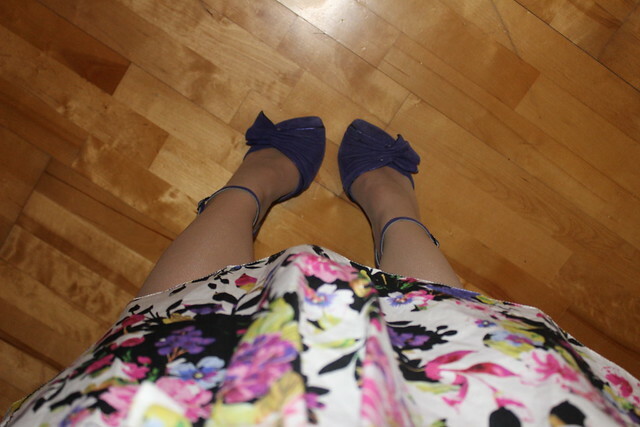 I figured that I could pic out the purple in the floral print of the dress with these Irregular Choice heels. Those eagle-eyed IC fans may spot that these are another pair of the "froggy" courtesan, but sadly these never made it to me with the frogs on. That said, they're not obviously missing anything, so I've kept them as a basic purple heel as I really like the cross-over ankle strap detail on them. F+F also sent me some new sunglasses. I'm super hopeless when it comes to sunnies. I could never have a designer pair as I'm pretty hopeless at looking after them and have lost count of the number of pairs which I've lost, or have been sat on, or dropped down a rollercoaster, etc etc. I'm a huge fan of tortoiseshell and really like the octagonal shape to these frames, even if they are about as big as my whole head. 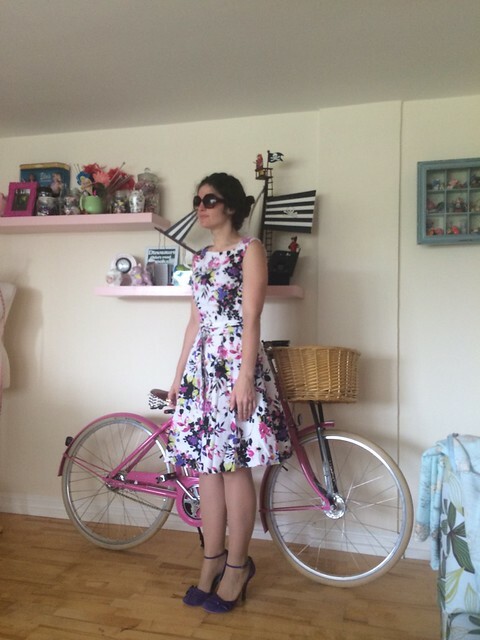 How do you dress transitionally, and how do you dress to cope with the heat? They're so different to any other pairs I've had. Aw, thanks -another outfit where I wasn't sure if I was clashing in a good or bad way. They've definitely upped their game in the past year or so! I love that dress, hard to believe it is Tesco. It's so lovely. I do the same, I'm not a trousers girl so tights are my friend when it gets a little colder. That dress is so gorgeous! Love the sunnies too! That dress is really pretty. I'm not keen on waist ties...I like what they do (give the dress shape) but I find them slightly annoying to wear and a bit of a turn-off on dresses. For a while they were everywhere, but I don't see them as much now. I like them because of the nipped in waist shape. I agree, they're a lot less common now. They're a really dark purple - I love the shape of them. That dress is lovely and you look great in it. Aww, it's such a cute bike. Not so practical, maybe, but I only ride it into town to the shops. love the floral dress and the blazer and high heels :-) if it were me I would complete the look with some low denier summer hosiery.